Researchers at Roxboro University have released another study showing that ketamine is bad for your health, something doctors have been saying for years. "Some ravers got it into their heads that ketamine is good for you," said lead researcher Jean-Guy Bourbonnais. "Our study shows that ketamine won't improve your health if you take it on a regular basis. It'll ruin it." 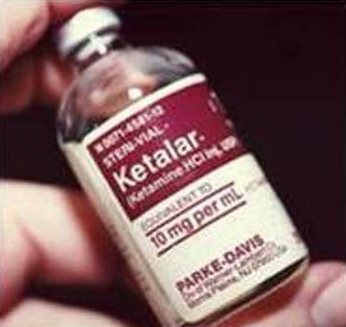 Back in the eighties, rave promoter Trudy Bollinger popularized ketamine as a health supplement. "I'd snort a bump of K right before I'd hit the gym," Trudy told Rave News. "The gains I saw were out of this world. It got to the point where I was hitting the gym nine to twelve times a week. I could easily push through the pain when I was ketamine, which made it easier to lift heavier weights. I bulked up like mad." Trudy successfully traded his stomach flab for rock hard abs, and his victory over fat made him a poster boy for ketamine. Soon, ravers around the world were using special K before working out. "I like to take K first thing in the morning before doing two hundred push-ups," says Eric Lime, a Montreal raver who has been spreading the ketamine gospel for years. "If you handle your ketamine responsibly, you can lift more weights, more often, and you won't feel any post-work out pain. I think ketamine is up there with coral calcium, acai berries, and snake oil in terms of health benefits. It's a miracle drug." Doctors howl in protest whenever they hear ravers extolling the virtues of ketamine as a work out supplement. "It's bad enough that ravers use ketamine for fun," says retired podiatrist Robert Allen. "It's absurd of them to claim it's good for you. In my thirty years practicing medicine, I've had to treat at least two hundred ravers for broken bones. They get high on ketamine, pick up heavy weights, and then drop them on their feet because they have no hand-eye coordination while they're high. Lifting weights while intoxicated isn't a smart idea." Ravers aren't likely to change their ways says Eric Lime. "I know I'll never stop snorting K before pumping iron. Science might say what i'm doing is wrong, but my six pack abs say otherwise."